ATC is now on social media with our own Facebook page! Please take a look at the page and give us a LIKE!!! 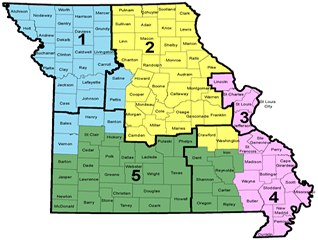 We are located by the name "MISSOURI DIVISION OF ALCOHOL AND TOBACCO CONTROL". Encourage others to FOLLOW us and please SHARE the information!! Liquor License Renewals are available now. There have been substantial changes to the process, so it is urgent that you review the attached renewal checklist. Licensees must renew their liquor license by May 1, 2019 to avoid penalties. ATC will begin mailing processed renewals no later than June 10. Springfield District Office will host an Open House on April 22 from 11 am to 2:00 pm.